My Cluttered Corner: Let's Party with Simple Stories! Let's Party with Simple Stories! Let's be honest. Every papercrafter needs a good birthday collection in their stash, right? Well, look no further. 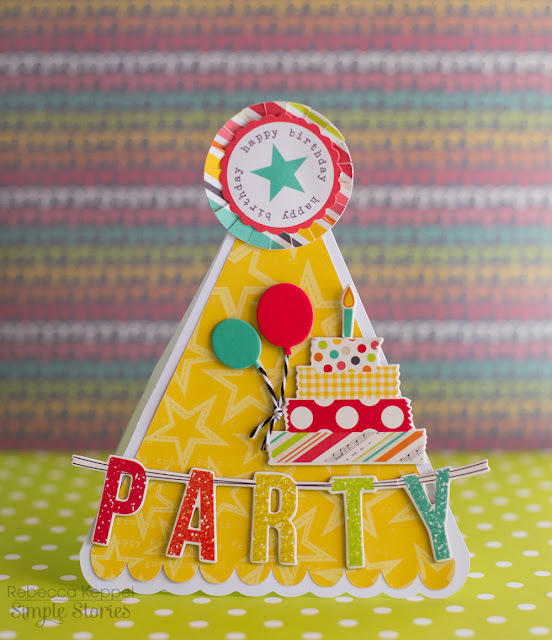 Simple Stories Let's Party collection is fun, happy, bright, versatile enough for boys and girls and is perfect for cards, layouts and more! I cut this fun little party heart card with my Cameo. I also decided to take a walk down memory lane and scrapbook some of my kids younger birthdays. 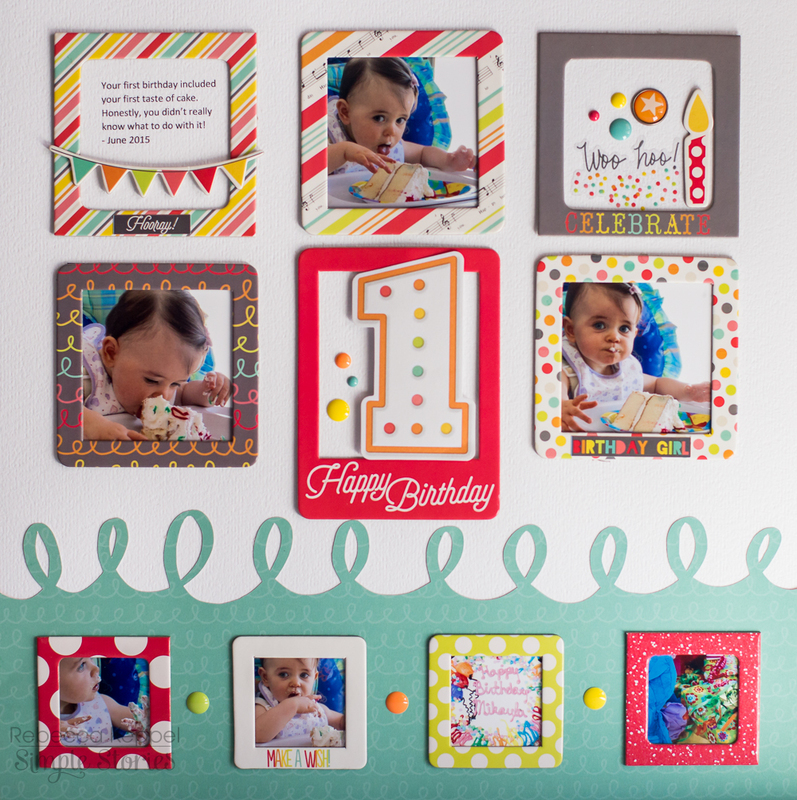 The Chipboard frames are perfect for adding a bunch of photos including those detail shots like ones of the cake and presents. I had so much fun filling one frame with a mix of Bradz, Enamel Dots, Photo Stickers and Chipboard Stickers! And how about that big 1? I may need several more packs of those die cut numbers, I just love them so! For this layout I created a large cake for the background and stitched around each layer. 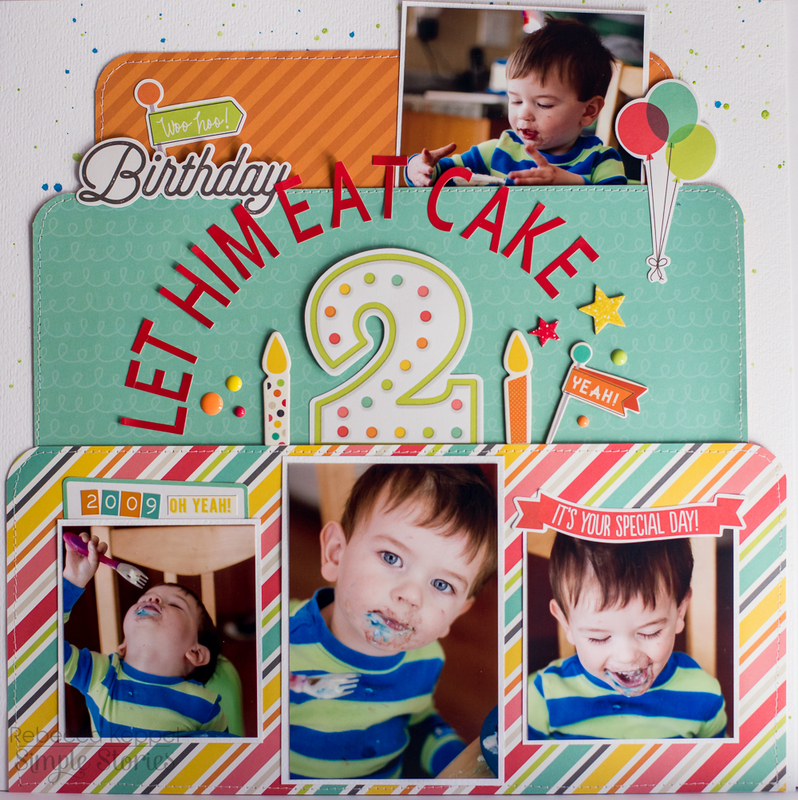 The stickers, die cuts and embellishments all work so well together in this collection! Playing with these old photos and this cute new collection has me inspired to do a mini album of each kids birthday. Let's Party has so many fun stickers, embellishments and patterned papers for all types of birthday projects!